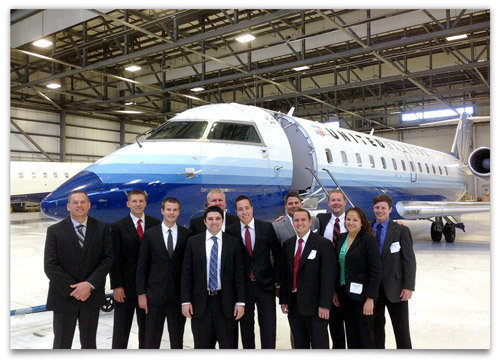 Today, 11 ATP flight instructors became part of SkyWest's new Enhanced Internship Program. The instructors were flown to SkyWest's headquarters in Salt Lake City for new hire indoctrination, where all received conditional offers of employment (COE). Returning back to their respective ATP training centers, the instructors will continue instructing with ATP, building quality flight experience to satisfy the conditions of the COE. With interviews having started back in May, this group brings the total number of ATP flight instructors who have received SkyWest COEs to 17. SkyWest will be taking in new interns every month from ATP’s instructor group and bringing them into the Enhanced Internship Program.